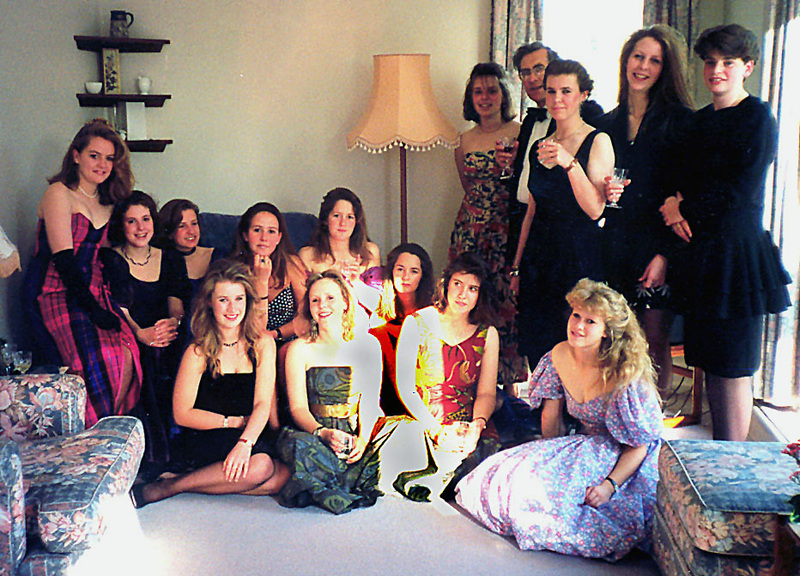 Jonathan Whiteside, D Pearce, ?, Phil Smith, Steve Bushell, Jonathan Scawin, Andy Jenkins, Nige Ball, David Bell, N Powell, Crispin Partridge, Nick Roberts.Front Row:Caroline Brett, Ruth Beckett, Kathy Harmon, Christine Marsack, Victoria Penny,Elaine Roberts (nee Finney), Sarah Pink, Maxine Baur, Claire Bourne. 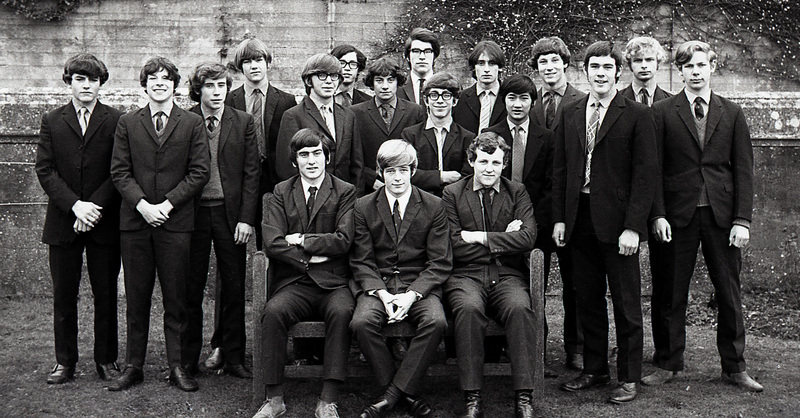 Outside Park House in 1975 (thanks to Peter Lace, standing at rear, 11th from right, for the above picture). Top left: Bruce Pritchett, Paul Rose, Stu Honeyball, Pete Millard, Mike James, Stephen Bolt, Norm Crowe, Clive Mathias, Pete Lace, Steve Pendell, Simon Wormleighton, Phil Lamphee, Jon Fletcher, Pete Sayers, Jon Dixon, Jackie Wilson, Charlotte Brain, Debbie Yates, Sandy MacGinnis, Sarah Oughton, Richard Evans, Cat Ledger, Sally Blythe, Carol Robinson, Nigel Bradbury, Lilli Schnitzer, Henrietta Hooper, Andrea Don, Suzanne Marston, Annabel Goodenough, Bella Bartlett, Ian Taylor, Rob Weston, Des Knox, Andy Medhurst. 1981. 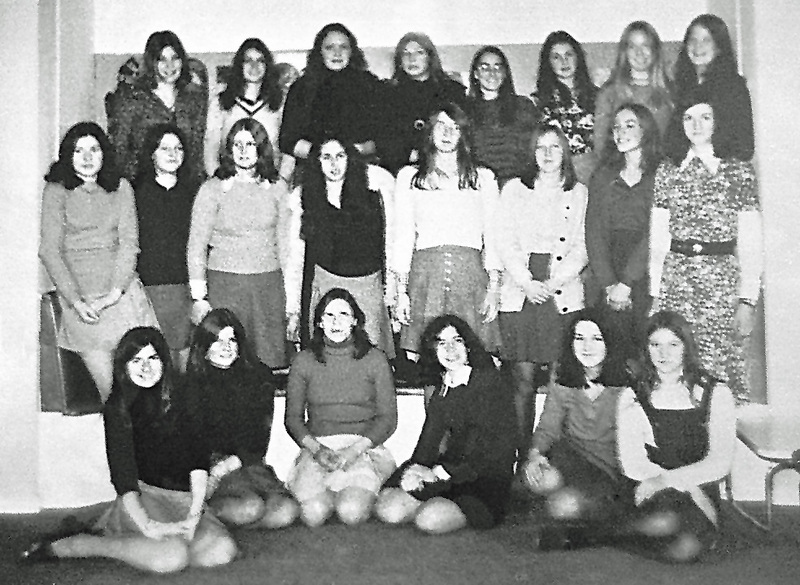 These pictures seem to have been taken annually in the seventies – are there any more around? 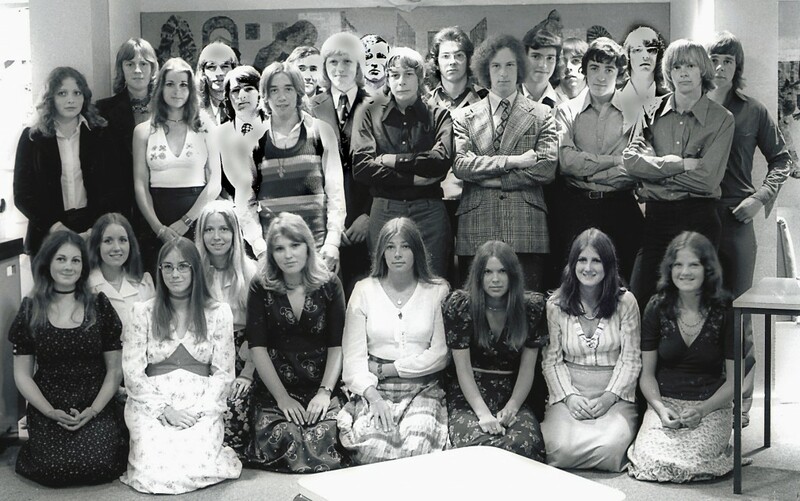 Most of the fifth form sometime in 1978. 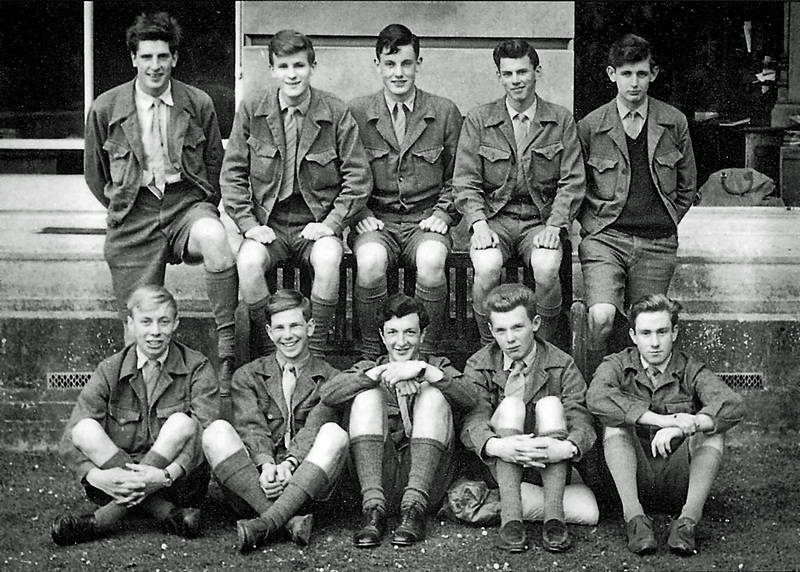 Duncan Clarke, Kevin Nunan, Bill Knox, Nick Marlow, Nicholas Miles, Julian Bull, Allen Fidler, Ben Hatchwell, Michael Curtis-Hayward, Mike Twinning, Richard Tudor, Richard Funnell, Patrick Lorenzen, Steven Whittard, Andrew Grainger, James Duncumb, Frank Peplow, Roger Page, Dan Boon, Tim Etherington, James Quick, Jonathan Allen, Mark Wilcox, Rich Pitt, Dom Ind, Guy Beattie, Will Edwards, Nick Price, Jonathan Stafford-Mills Thanks to Tim Etherington. 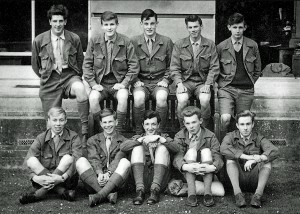 6A, 1985 – Back row, left to right: Paul Attwood, Mark Binder, Chris Carpenter, David “Geordie” Wilson, Andy Hall, Jerry Butling, Blaise Jenkins, Barney Hatcher, Colin Harris, Matt Newman, Mike Hicks, Jonny Morris, Rob McIntyre, Simon Noyes, Nick Hoare, Ben Almond, Stuart McIntyre, Paul “Trotsky” Partridge, Dave George, James Kinch, Rob Prynne, Marcus Holland, Stuart Newell, William Tong, Darrel Adshead. Front row: Fiona “Floss” Howard, Vicky Finney, Katie Rowe, Claire “Tiggy” Bichard, Jo Merrett, Samantha Evans, Sara Hawkswell, Juliette Loehry, Suzy Whybrow, Sophie Rutherford, Fiona Wilkins, Karen Arnold, Alex Aylott, Jane Perkins, Vanessa Andreis, Justine Loehry. Missing from the photo are Duncan Brown, Karen Alder, Ben Uglow and John Awdry. (Thanks to Jonny Morris). Alan Lamb, Jonathan Tyler, Nick Thomas, Joe Yuvaboon, John Millard, Niven Boyd, Nick Hance, Julian Gray. Seated: David Tyler, Owen Rhys, Ian Niel. 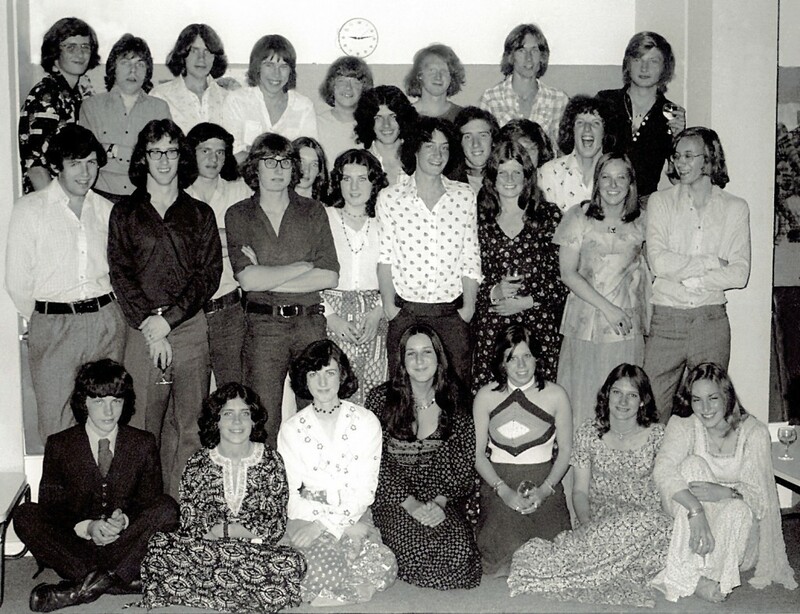 Fifth form, 1976 – Thanks to Gerry Hedderwick for unearthing this one. 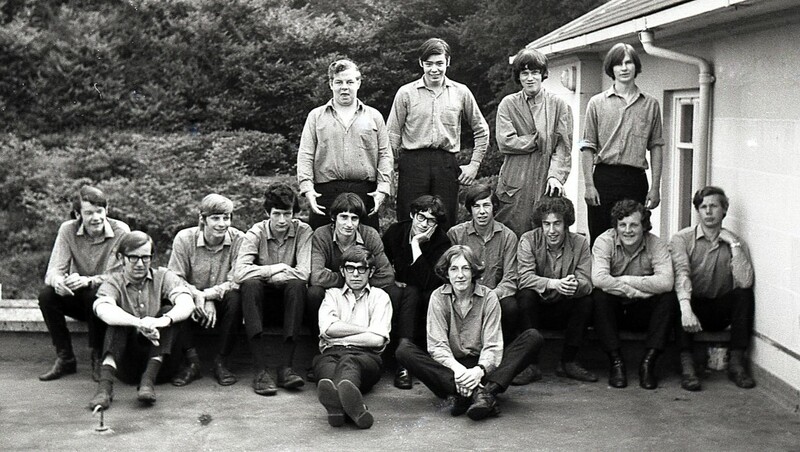 Back row: Chris Troughton, Nigel Taylor, Graeme Connelly, Ian Hawkins, Shane Galtress, Simon Buist, Ian Cummings, John Sinclair, Simon Young, Jon McGill, Stuart Smith, Stephen Hawkins, Colin Hitchcock Middle: Joe Watson, Richard Caney, WIll Gotley, Hamish Wilson, Treve Evans, Graham Moore, Tony Flambard, Patrick O’Donohoe, Ian Pengelly, Andy Mackonochie Front: Nick Carroll, Tim Parfit, Gerry Hedderwick, Peter Haynes, Jerry Ferguson, Andy Mathias. (Robin Swaine seems not to be present).